You work hard to produce good food. A Greener World’s certifications exist to help you demonstrate your stewardship, values and sustainable practices to your customers. 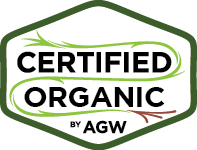 With respected, market-leading third-party certified labels, AGW helps you deliver the transparency today’s consumers and retailers increasingly demand. Learn more about our full-service certification below (and to the right), and feel free to reach out with any questions. We are growing rapidly and invite you to join us! Consumers are increasingly interested in knowing where their food comes from, and they want to see that information on the package, backed up by an independent third-party certification they can trust (Hartman Group, 2017). Certification can also help you enter new markets, or retain existing markets in an increasingly competitive industry. 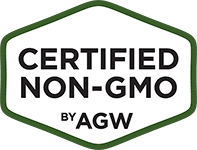 But don’t take our word for it: Meet some of AGW’s farmers, ranchers and producers and find out why they choose to be certified! Marketing support, including press, social media and online support. AGW marketing materials, branding and market development. 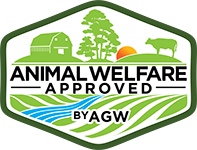 Free listings for your certified products in our popular AGW online directory, frequented by thousands of consumers seeking high-welfare meat, dairy and eggs and verified sustainable products. Labeling support to incorporate your certification logos into existing packaging or help you design new packaging labels–plus full assistance with the state or federal label approval process. 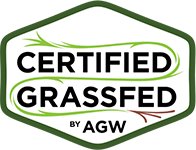 Technical support and guidance from AGW’s expert technical staff to support environmentally sustainable, practical and profitable pasture-based production. Great! To certify one or more of the species or products on your farm, take a look at the standards for certification (see links at right or call us for a hard copy). Once you’re ready, you can Apply Online or request a paper application by mail. Questions? Need help applying? Contact your Regional Farmer and Market Outreach Coordinator here–they will be happy to help!